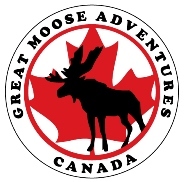 Great Moose Adventures Junior Guide and Junior Counselor program is a Summer Job opportunity created to provide a work opportunity in the field of outdoor education for youth aged 16 & 17. Students in the program will receive valuable work experience, a summer wage and an exciting summer filled with canoeing, swimming, camping, forest exploration and so much more. For more information or to apply for the position - please complete the form below! Do you have a current NLS or Bronze Cross certificate? Are you available for the full sumer, including nights with weekends off? Please tell us why you want to work at Great Moose Adventures?